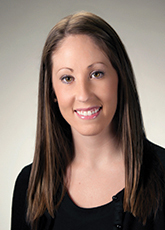 Jessica began her career in public accounting in 2008. Prior to joining our firm in 2014, she worked at a national CPA firm where she focused on the non-profit sector. Jessica specializes in serving the unique needs of nonprofit organizations including audits, other financial statement services, and tax reporting. A strong believer in being involved in the community, Jessica is a board member of the local chapter of the Washington Society of Certified Public Accountants. When she is not glued to her computer and 10-key, Jessica enjoys spending time with friends and family. Jessica and her husband enjoy visiting area wineries and breweries and attending local events. They also love all things sports and are huge Seahawks and Mariners fans. In December 2017 they welcomed their daughter, Kinsley, and are loving their new roles as mom and dad.